This article is about the monarchy of Jamaica. For information on the other countries which share the same person as monarch, see Commonwealth realm. The monarchy of Jamaica is a constitutional system of government in which a hereditary monarch is the sovereign of Jamaica. The terms Crown in Right of Jamaica, Her Majesty in Right of Jamaica, or The Queen in Right of Jamaica may also be used to refer to the entire executive of the government of Jamaica. Though the Jamaican Crown has its roots in the British Crown, it has evolved to become a distinctly Jamaican institution, represented by its own unique symbols. The present monarch is Queen Elizabeth II—officially titled Queen of Jamaica—who has reigned since 6 August 1962. She, her consort, and other members of the Royal Family undertake various public and private functions across Jamaica and on behalf of the country abroad. However, the Queen is the only member of the Royal Family with any constitutional role, holding ultimate executive authority, though her Royal Prerogative remains bound by laws enacted by her in parliament and by conventions and precedents, leaving the day-to-day exercise of executive power to her Cabinet. While several powers are the sovereign's alone, most of the royal constitutional and ceremonial duties in Jamaica are carried out by the Queen's representative, the governor-general. The Jamaican monarch, besides reigning in Jamaica, separately serves as monarch for each of fifteen other Commonwealth countries known as Commonwealth realms. This developed from the former colonial relationship of these countries to Britain, but they are now independent and the monarchy of each is legally distinct. Jamaica has the same person as their monarch as other Commonwealth realms. Each country is sovereign and independent of the others, meaning the Jamaican monarchy has both a separate and a shared character, and the monarchy has also thus ceased to be an exclusively British institution, although it has often been called British since this time (in both legal and common language) for reasons historical, political, and of convenience. On all matters of the Jamaican state, the monarch is advised solely by Jamaican Ministers of the Crown. and, effective with the Jamaica Independence Act, 1962, no British or other realm government can advise the monarch on matters pertinent to Jamaica. Given these arrangements, it is considered impossible for the monarch of Jamaica to receive an ambassador from, or send an ambassador to, any country of which he or she is also monarch; essentially sending an ambassador to him or herself. Instead, the practice of sending High Commissioners developed, wherein an individual is sent to be a representative in one realm of the government in another. The shared and domestic aspects of the Crown are also highlighted in the sovereign's Jamaican title, currently Elizabeth the Second, by the Grace of God, Queen of Jamaica and of Her other Realms and Territories, Head of the Commonwealth. The sovereign's role specifically as Queen of Jamaica, as well as her status as monarch of other nations, is communicated by mentioning Jamaica separately from, but along with, the Queen's other lands. Typically, the sovereign is styled Queen of Jamaica, and is addressed as such when in Jamaica or performing duties on behalf of Jamaica abroad. The sovereign only draws from Jamaican coffers for support in the performance of her duties when in Jamaica or acting as Queen of Jamaica abroad; Jamaicans do not pay any money to the Queen, either towards personal income or to support royal residences outside Jamaica. This applies equally to other members of the royal family. Normally, tax dollars pay only for the costs associated with the Governor-General in the exercise of the powers of the Crown, including travel, security, residences, offices, ceremonies, and the like. Succession is by male-preference primogeniture governed by the provisions of the Act of Settlement, 1701, and the Bill of Rights, 1689. This legislation limits the succession to the natural (i.e. non-adopted), legitimate descendants of Sophia, Electress of Hanover, and stipulates that the monarch cannot be a Roman Catholic, nor married to one, and must be in communion with the Church of England upon ascending the throne. Though these constitutional laws, as they apply to Jamaica, still lie within the control of the British parliament, via adopting the Statute of Westminster both the United Kingdom and Jamaica agreed not to change the rules of succession without the unanimous consent of the other realms, unless explicitly leaving the shared monarchy relationship; a situation that applies identically in all the other realms, and which has been likened to a treaty amongst these countries. Thus, Jamaica's line of succession remains identical to that of the United Kingdom. Upon a demise of the Crown (the death or abdication of a sovereign) it is customary for the accession of the new monarch to be publicly proclaimed by the Governor-General. Regardless of any proclamations, the late sovereign’s heir immediately and automatically succeeds, without any need for confirmation or further ceremony; hence arises the phrase "The king is dead, long live the king!" Following an appropriate period of mourning, the monarch is also crowned in the United Kingdom, though this ritual is not necessary for a sovereign to reign; for example, Edward VIII was never crowned, yet was undoubtedly king during his short time on the throne. All incumbent viceroys, judges, civil servants, legislators, military officers, etc., are not affected by the death of the monarch. After an individual ascends the throne, he or she typically continues to reign until death. Monarchs are not allowed to unilaterally abdicate; the only monarch to abdicate, Edward VIII, did so before Jamaica was independent, and, even then, only with the authorization of specials Acts of Parliament in the Dominions. Since the independence of Jamaica, the sovereign's role as monarch of Jamaica has been recognised and promoted as separate to his or her position as monarch of the United Kingdom. From the beginning of Queen Elizabeth II's reign onwards, royal symbols in Jamaica were altered or new ones created to make them distinctly Jamaican, such as the augmentation of the Royal Arms of Jamaica in 1962 and Queen's Royal Standard for Jamaica, created in 1962. 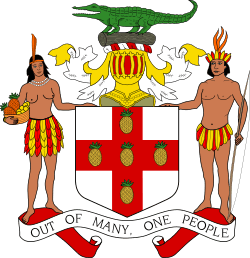 Today the sovereign is regarded as the personification, or legal personality, of the Jamaican state. Therefore, the state is referred to as Her Majesty the Queen in Right of Jamaica; for example, if a lawsuit is filed against the government, the respondent is formally described as Her Majesty the Queen in Right of Jamaica, or simply Regina. As such, the monarch is the owner of all state lands (called Crown land), buildings and equipment (called Crown held property), state owned companies (called Crown Corporations), and the copyright for all government publications (called Crown copyright), as well as guardianship of foster children (called Crown wards), in his or her position as sovereign, and not as an individual. Government staff are also employed by the monarch, as are the Governor-General, judges, members of the Jamaica Defence Force, police officers, and parliamentarians, who all technically work for the monarch. Many employees of the Crown were once required by law to recite an oath of allegiance to the monarch before taking their posts, in reciprocation to the sovereign's Coronation Oath, wherein he or she promises "to govern the Peoples of ... [Jamaica] ... according to their respective laws and customs". Save for that taken by senators, the oaths of allegiance were altered in 2002, removing mention of the monarch. 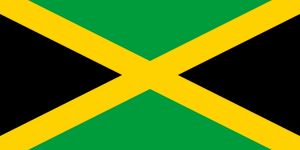 Jamaica's constitution is made up of a variety of statutes and conventions that are either British or Jamaican in origin, which gives Jamaica a similar parliamentary system of government to the other Commonwealth realms, wherein the role of the Queen and the Governor-General is both legal and practical. The Crown is regarded as a corporation, in which several parts share the authority of the whole, with the Queen as the person at the centre of the constitutional construct, meaning all powers of state are constitutionally reposed in the monarch, who is represented by the Governor-General – appointed by the monarch on the advice of the Prime Minister of Jamaica. Most of the Queen's domestic duties are performed by this vice-regal representative, though she is briefed through regular communications from her Jamaican ministers, and holds audience with them whenever possible. All institutions of government are said to act under the sovereign's authority; the vast powers that belong to the Crown are collectively known as the Royal Prerogative. Parliamentary approval is not required for the exercise of the Royal Prerogative; moreover, the consent of the Crown must be obtained before either of the houses of parliament may even debate a bill affecting the sovereign's prerogatives or interests. While the Royal Prerogative is extensive, it is not unlimited; for example, the monarch does not have the prerogative to impose and collect new taxes – such an action requires the authorization of an Act of Parliament. The government of Jamaica is also thus formally referred to as Her Majesty's Government. Further, the constitution instructs that any change to the position of the monarch, or the monarch's representative in Jamaica, requires the consent of a two-thirds majority of each house of parliament. When Jamaica attained fully responsible status within the Commonwealth provision for the new constitution, with effect from 6 August 1962, was made by The Jamaica (Constitution) Order in Council 1962, under the West Indies Act,1962 and the Jamaica Independence Act, 1962. The Form of Oath of Allegiance set out in the First Schedule of the Order in Council, is a declaration of allegiance to "Her Majesty Queen Elizabeth II, Her Heirs and Successors". In Jamaica's constitutional system, one of the main duties of the Crown is to appoint a prime minister, who thereafter heads the Cabinet and advises the monarch and Governor-General on how to execute their executive powers over all aspects of government operations and foreign affairs; this requirement is, unlike in other Commonwealth realms where it is a matter of convention, constitutionally enshrined in Jamaica. Though the monarch's power is still a part of the executive process – the operation of the Cabinet is technically known as the Queen-in-Council (or Governor-in-Council) – the advice tendered is typically binding. Since the death of Queen Anne in 1714, the last monarch to head the British Cabinet, the monarch reigns but does not rule. This means that the monarch's role, and thereby the viceroys' role, is almost entirely symbolic and cultural, acting as a symbol of the legal authority under which all governments and agencies operate, while the Cabinet directs the use of the Royal Prerogative, which includes the privilege to declare war, maintain the Queen's peace, and direct the actions of the Jamaica Defence Force, as well as to summon and prorogue parliament, and call elections. However, it is important to note that the Royal Prerogative belongs to the Crown, and not to any of the ministers, though it may sometimes appear that way, and the royal figures may unilaterally use these powers in exceptional constitutional crisis situations. There are also a few duties which must be specifically performed by, or bills that require assent by, the Queen. These include signing the appointment papers of Governors-General, the confirmation of awards of Jamaican honours system, and the approval of any change in her Jamaican title. In accordance with convention, the monarch or Governor-General, to maintain the stability of government, must appoint as prime minister the individual most likely to maintain the support of the House of Representatives: usually the leader of the political party with a majority in that house, but also when no party or coalition holds a majority (referred to as a minority government situation), or other scenarios in which the Governor-General's judgement about the most suitable candidate for prime minister has to be brought into play. The Governor-General also appoints to the Cabinet the other ministers of the Crown, who are, in turn, accountable to the democratically elected House of Representatives, and through it, to the people. The Queen is informed by her viceroy of the acceptance of the resignation of a prime minister and the swearing-in of a new prime minister and other members of the ministry. 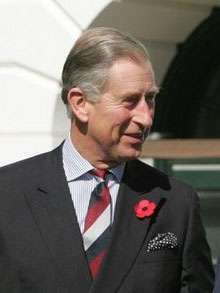 Members of various executive agencies, and other officials are appointed by the Crown. The commissioning of privy councillors, senators, the Speaker of the Senate, Supreme Court justices also falls under the Royal Prerogative, though these duties are specifically assigned to the Governor-General by the constitution. Public inquiries are also commissioned by the Crown through a Royal Warrant, and are called Royal Commissions. The Royal Prerogative also extends to foreign affairs: the sovereign or Governor-General negotiates and ratifies treaties, alliances, and international agreements. As with other uses of the Royal Prerogative, no parliamentary approval is required; however, a treaty cannot alter the domestic laws of Jamaica; an Act of Parliament is necessary in such cases. The Governor-General, on behalf of the Queen, also accredits Jamaican High Commissioners and ambassadors, and receives diplomats from foreign states. In addition, the issuance of passports falls under the Royal Prerogative, and, as such, all Jamaican passports are issued in the monarch's name. The sovereign, along with the Senate and the House of Representatives, is one of the three components of Parliament, called the Queen-in-Parliament. The authority of the Crown therein is embodied in the mace for each house, which both bear a crown at their apex. Per the constitution, the monarch does not, however, participate in the legislative process; the viceroy does, though only in the granting of Royal Assent. Further, the constitution outlines that the Governor-General alone is responsible for summoning, proroguing, and dissolving parliament, after which the writs for a general election are usually dropped by the Governor-General at Government House. The new parliamentary session is marked by the State Opening of Parliament, during which either the monarch or the Governor-General reads the Speech from the Throne. As the monarch and viceroy cannot enter the House of Representatives, this, as well as the bestowing of Royal Assent, takes place in the Senate chamber; Members of Parliament are summoned to these ceremonies from the Commons by the Crown's messenger, the Usher of the Black Rod, after he knocks on the doors of the lower house that have been slammed closed on him, to symbolise the barring of the monarch from the assembly. All laws in Jamaica are enacted only with the viceroy's granting of Royal Assent; usually done by the Governor-General, with the Broad Seal of Jamaica. Thus, all bills begin with the phrase "BE IT ENACTED by The Queen's Most Excellent Majesty, by and with the advice and consent of the Senate and House of Representatives of Jamaica, and by the authority of the same, as follows..."
The sovereign is deemed the fount of justice, and is responsible for rendering justice for all subjects, known in this role as the Queen on the Bench. However, he or she does not personally rule in judicial cases; instead, judicial functions are performed in his or her name by what are termed Her Majesty's Justices of the Peace. Hence, the common law holds that the sovereign "can do no wrong"; the monarch cannot be prosecuted in his or her own courts for criminal offences. Civil lawsuits against the Crown in its public capacity (that is, lawsuits against the government) are permitted; however, lawsuits against the monarch personally are not cognizable. In international cases, as a sovereign and under established principles of international law, the Queen of Jamaica is not subject to suit in foreign courts without her express consent. The sovereign, and by extension the governor-general, also exercises the prerogative of mercy, and may pardon offences against the Crown, either before, during, or after a trial. In addition, the monarch also serves as a symbol of the legitimacy of courts of justice, and of their judicial authority. An image of the Queen or the Coat of arms of Jamaica is always displayed in Jamaican courtrooms. In 1966 Prince Philip, Duke of Edinburgh, accompanied by his son, Prince Charles, Prince of Wales, toured Jamaica as part of his visit there to open that year's Commonwealth Games. 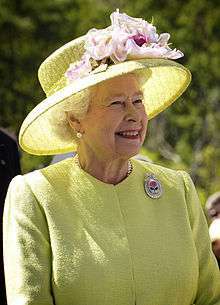 Prior to the Queen's 2002 visit, the newspaper Jamaica Gleaner said "So as Jamaica looks back, let it also look forward. Let this visit not so much renew old ties as cement new ones." The BBC reported that "despite republican sentiments in the country she was given an enthusiastic welcome." A poll taken in 2002 showed that 57% of Jamaicans thought that the Queen's visit to Jamaica as part of Her Golden Jubilee tour was important. Individuals in both major political parties in Jamaica have voiced support for making Jamaica a republic. In September 2003, then Prime Minister of Jamaica P. J. Patterson called for Jamaica to abolish the monarchy by 2007. Bruce Golding, while prime minister and leader of the conservative Jamaican Labour Party, also pledged that Jamaica shall "take steps to amend the constitution to replace the Queen with a Jamaican President who symbolises the unity of the nation". Portia Simpson-Miller (Prime Minister, 2012–16) expressed her intention to make Jamaica a republic to coincide with the country's 50th anniversary of independence in August 2012, but did not follow through with the proposed change which would require the support of two-thirds of both houses in the Parliament of Jamaica to pass; Simpson-Miller's People's National Party had a two-thirds majority in the House of Representatives but was one seat short in the Senate and would have needed the support of at least one senator from the Opposition Jamaican Labour Party in order to have the constitutional reform approved. The current leader of the JLP, Andrew Holness, who succeeded Simpson-Miller as prime minister in 2016, has announced that his government will amend the Constitution to make Jamaica a republic. Specifically, the government has pledged to introduce a constitutional amendment to “replace Her Majesty The Queen with a non-executive president as head of state”. 1 2 "Buckingham Palace: Queen and Commonwealth: Jamaica". Royal.gov.uk. Archived from the original on 7 June 2007. Retrieved 2013-02-03. 1 2 3 4 5 6 7 8 9 Elizabeth II (1962). "The Jamaica (Constitution) Order in Council 1962". Georgetown University. Retrieved 3 February 2013. 1 2 "Buckingham Palace: Queen and Commonwealth: Jamaica: The Queen's role in Jamaica". Royal.gov.uk. Archived from the original on 20 January 2016. Retrieved 2013-02-03. ↑ "Flags of the World: Flag of Queen Elizabeth II in Jamaica". Crwflags.com. Retrieved 2013-02-03. ↑ "The Form and Order of Service that is to be performed and the Ceremonies that are to be observed in the Coronation of Her Majesty Queen Elizabeth II in the Abbey Church of St. Peter, Westminster, on Tuesday, the second day of June, 1953". Oremus.org. Retrieved 2013-02-03. 1 2 "Cox, Noel; ''Murdoch University Electronic Journal of Law'': Black v Chrétien: Suing a Minister of the Crown for Abuse of Power, Misfeasance in Public Office and Negligence; Volume 9, Number 3 (September 2002)". Murdoch.edu.au. Retrieved 2013-02-03. ↑ "Political Database of the Americas: Jamaica: Constitutional Overview". Pdba.georgetown.edu. 2005-06-09. Retrieved 2013-02-03. ↑ "The Justices of the Peace Jurisdiction Act" (PDF). Moj.gov.jm. Retrieved 2013-02-03. ↑ "At Work: Countries Visited". The Prince of Wales. Retrieved 2013-02-03. ↑ "Queen speaks to Jamaican Parliament". BBC News. 19 February 2002. Retrieved 2008-12-20. ↑ Davies, Caroline (19 February 2002). "21 gun salute welcomes Queen to Jamaica". London: Telegraph. Retrieved 2008-12-20. ↑ Archived 26 October 2008 at the Wayback Machine. ↑ Staff writer (23 January 2007). "Reform of Constitution High on Agenda of Govt.". Jamaica Information Service. Retrieved 2007-01-27. ↑ "From Constitutional Monarchy to Republic: Barbados and Jamaica". Cayman Reporter. April 2, 2015. Retrieved June 2, 2015.